Large server cabinet or network cabinet are typically used in large data centers. However, for individuals and small businesses, a wall mount cabinet can be much more effective. The wall mount cabinet is compact in size so that it can be placed almost anywhere. It helps save floor space while providing security and accessibility for your network components and other hardware. It is the perfect solution for safely storing small devices. This post describes the wall mount rack and gives you the selection guide. A wall mount cabinet, also known as wall mount rack or enclosed wall mount, designed to be attached to the wall, and mainly used for housing network equipment like fiber patch panels and switches. It generally comes in open frame or cabinet style. The open frame wall mount cabinet is an effective and less expensive option, but it won’t necessarily keep your equipment secure. 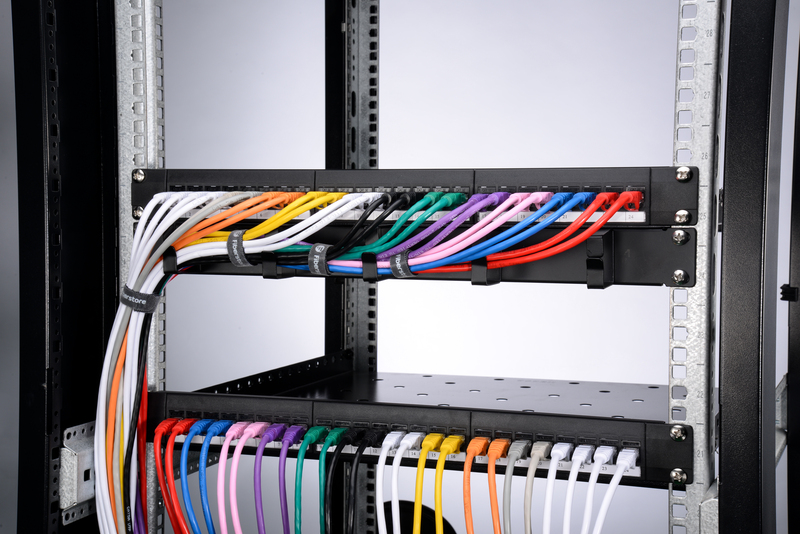 Since it’s an open frame rack, equipment installation, wiring, and cable management tend to be easier than with an enclosed cabinet, and airflow is not an issue. However, to discourage equipment tampering, wall mount enclosure cabinet adds panels to the top, bottom and sides, as well as a front cover. It is more secure for your devices. Wall mount cabinets vary considerably in their functionality and appearance, so it is necessary to do some research before you buy one. No matter what decision you make, finding a suitable wall mount cabinet for your network will help save your time and money by keeping your equipment safe and organized. Here we will provide three factors for you to consider before you buy a wall mount cabinet rack. It’s important to consider the space required by the network. Think about the existing network you have and any additions you may get in the future so that you don’t end up realizing you still don’t have enough space. To determine the height of the wall mount cabinet you need, you should accurately assess the total height of your current equipment and allow for future growth. Remember that 1U is equal to 1.75 inches. The depth of the wall mount cabinet rack is adjustable from minimums of either 3 or 17 inches to maximums of 16.5, 20.5 or 32.5 inches. To determine the maximum depth you need, measure the depth of your equipment and add 3 inches to allow space for cabling. As for the weight, make sure that the capacity of the rack is greater than the total weight of the mounted equipment. Also, make sure there are proper studs on the wall that can support the weight of the rack and housed equipment. Most wall mount cabinet comes with two different types of doors such as perforated metal or glass front doors, depending on your airflow requirements. The difference between a glass and a perforated door is clear. A glass door is often used when choosing patch solutions without extreme heat generation. It is also more soundproof than its perforated counterpart. A perforated door provides better ventilation and is typically used when multiple servers are placed in the cabinet. What Kind of Equipment Can I Put In A Wall Mount Cabinet? As your network grows, your network space will undoubtedly expand as well. To keep up with your IT equipment needs, you’ll discover the need to invest in physical space where your hardware and equipment can be stored. The wall mount cabinet is primarily used for racking network equipment such as network switches, patch panels, servers and more. It’s an ideal solution to support organization in your space. What Are the Recommended Wall Mount Cabinets for You? If you run small or home-based offices or larger offices that are looking to add an additional rack to an existing system, wall mount cabinets are an affordable option. FS provides hinged wall mount cabinet and wall mount enclosure cabinet with standard size to satisfy your needs. The hinged wall mount cabinet is capable of managing 12 rack units of active and passive equipment. It’s designed to house EIA-standard 19-inch rack equipment in network wiring closets, retail locations, classrooms, back offices and other areas with limited floor space. The wall mount enclosure cabinet designed with excellent cable management and a fully adjustable mounting rail system. It is ideal as a mini telecommunications room or for remote network distribution and consolidation points in open, unprotected spaces. If you are looking for a wall mount cabinet, why not visit www.fs.com for a try? With the rapid development of mobile Internet, mobile data traffic and connected devices grow explosively. In response to the challenges brought by the network growth, 5G is under construction. 25G WDM-PON, combines the WDM technology and the PON topology, effectively bring high bandwidth, low latency, plug-and-play ONU (Optical Network Unit), simple OAM (Operation Administration and Maintenance) and low-cost advantages to 5G fronthaul transmission. Therefore, it has attracted widespread attention in the industry. This article describes 25G WDM-PON for 5G fronthaul transmission. 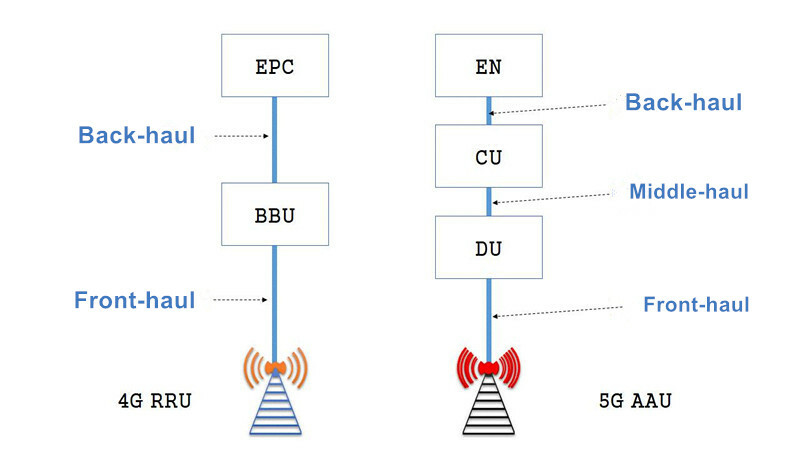 Compared to 4G architecture, the 5G RAN (Radio Access Network) architecture will evolve from the formal BBU (Base Band Unit) and RRU (Radio Remote Unit) two-level architecture of LTE to the three-level structure of CU (Centralization Unit), DU (Distribution Unit) and AAU (Active Antenna Unit). Therefore, the bearer network is also divided into front haul, middle haul, and backhaul. 5G base station fronthaul requires a bandwidth up to 25Gbps. However, as the number of base station increases, the cost of the base station to the fiber infrastructure networks and deployment will be higher. In this case, employing a Centralized Radio Access Network (C-RAN) architecture for 5G fronthaul holds great appeal for operators, but the current dark fiber solution for the C-RAN architecture requires a large number of mobile backhaul fibers. Most operators are still seeking an optimal solution to meet the needs of 5G fronthaul. In the C-RAN architecture of 5G network fronthaul, the functionality of the 5G BBU will be reconstructed into two functional entities — CU and DU. The CU primarily includes the non-real-time part of wireless upper-layer protocol stacks and supports the distribution of some core network functions and the deployment of applications at the network edge. The DU mainly handles physical-layer functions and real-time transmission-layer functions. 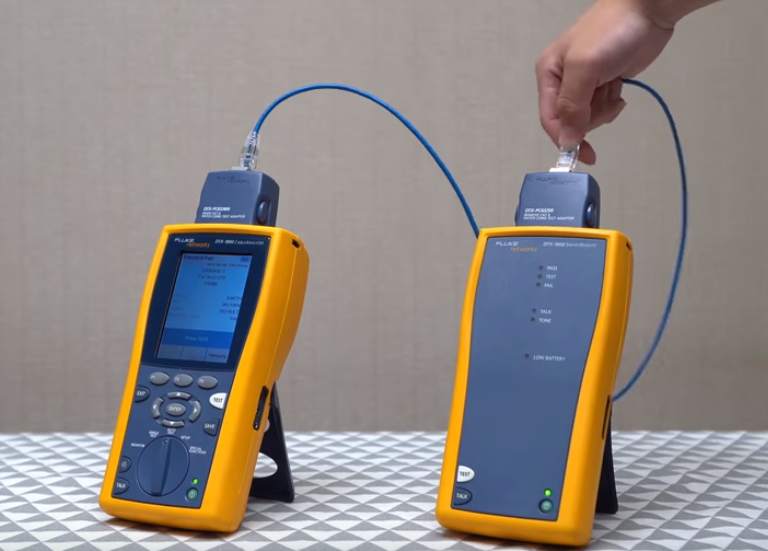 In order to save the transmission cost and reduce the transmission bandwidth between the RRU and the DU, some functions of the physical layer are moved down to the RRU implementation. 25G WDM-PON is a solution for transmission between DU and RRU. In the network architecture of WDM-PON 5G fronthaul, WDM-PON OLT and ONU are connected with DU and RRU respectively. The transparent business transmission between DU and RRU is realized by the adoption of the wavelength position multiplexing technology and AMCC (Auxiliary Management and Control Channel) technology. The OLT devices carry the midhaul service between DU and RRU at the same time that the OLT devices realize the fronthaul service between DU and RRU. 25G WDM-PON has advantages like high bandwidth, low latency, and low-cost. These all make 25G WDM-PON a better choice to satisfy 5G fronthaul requirements. In the 5G construction, operators are faced with the pressure to reduce the number of sites and leased equipment rooms. In this case, employing a centralized radio access network (C-RAN) architecture can significantly reduce capital expenditure (Capex) on sites and equipment rooms. The 25G WDM-PON OLT can utilize an Access Office (AO) to deploy a centralized distributed unit (DU) pool. Thus, wireline and wireless AOs can be co-located if the condition permits. The 25G WDM-PON 5G fronthaul solution allows for sharing of the existing fiber infrastructure, making it suitable for densely populated urban residential areas. The 5G network requires a large number of fiber resources. A network architecture based on the point-to-multipoint tree topology of a 25G WDM-PON can save a lot of fibers. The existing FTTx networks have rich lines and port resources in a wide range of deployments. 25G WDM-PON can completely reuse these resources to reduce 5G network deployment costs, avoid overlapping investments and improve 5G network coverage. The 25G WDM-PON optoelectronic devices belong to the world’s leading edge, which requires high technology, chips, research and development capabilities. Overall, the 25G WDM-PON industry chain is basically mature, but it still needs continuous investment from all aspects of chips, transceiver modules (SFP, SFP+, SFP28), equipment and systems, to develop key technologies, reduce core device costs, establish a unified standard, and accelerate the productization process.